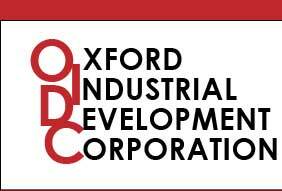 The OIDC, or Oxford Industrial Development Corporation, is a non-profit organization with deep roots in the Oxford community. Incorporated in 1963, the OIDC exists today with some of its members in their second generation. Their purpose is basically the same as it was four decades ago: to help industrial, commercial and manufacturing facilities increase in Oxford, helping to create new jobs. By reducing unemployment it improves community prosperity. There are other industrial developmental organizations today, but not many have so many years of experience to offer and so much personal involvement as the OIDC. Many businesses have been helped by the OIDC. They helped National Medicare Service with a short-term mortgage, and they purchased properties north and south of the Village on Rte. 12. In 1990 Richard LaTourette bought the OIDC north property which is the printing business, Rapid Reproduction today. In 1988 OIDC purchased Al Stringham’s RecVee, a property south of the Village. This was rented out to various commercial enterprises including an auction house and National Sign and Awning. It was eventually purchased by Pete Faber. Today it’s Faber’s Home & Kitchens, selling cabinetry, flooring, decking and more. The founding fathers' "lofty goals" have been realized and they continue to effect changes in Oxford today.